In terms of global pop culture icons, they don’t come much bigger than Michael Jackson. The ground-breaking master of musical artistry and performance changed the face of pop music throughout the 1980s and 1990s, and continued to make waves in the industry until his sudden death at the age of 50, in 2009. Today (June 21st, 2016) sees the release of a new book by U.S. TV host and author Tavis Smiley, which centres on the final days of Jackson’s life – and plans are already underway for J.J. Abrams and Smiley to bring it to television in 2017. The book is titled Before You Judge Me: The Triumph And Tragedy Of Michael Jackson’s Last Days, and is a novelization – a format which lends itself well to narrative adaptation. Prior to its publishing, the book was optioned by Bad Robot, and J.J. Abrams is consequently teaming with Tavis Smiley to do the story justice as a special television event. The final chapter of Michael Jackson’s fascinating life did indeed heavily feature both triumph and tragedy – with the legend having staved off reported financial woes, and having navigated difficult court cases regarding allegations of child abuse. 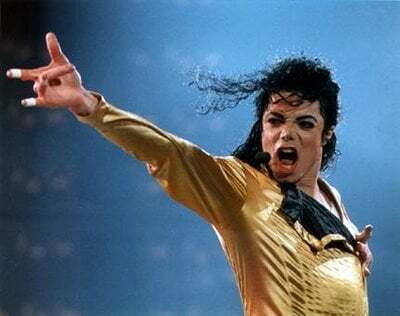 At the time of his passing, however, Jackson had been making final preparations for an arena tour, which saw over one million tickets sell in under two hours for the London dates alone. But, the tour never began, as Jackson suffered a fatal cardiac arrest less than three weeks before the first concert. The television event based on Tavis Smiley’s book is being backed by Warner Bros. Television, although Bad Robot is still seeking a network to broadcast the planned series. Similarly, there have yet to be any announcements regarding casting, or to confirm the choices for writer and director. These will be the critical decisions because, with a loyal and devoted fanbase of such phenomenal size, any project dealing with Michael Jackson must be exactly right to be successful. For J.J. Abrams in particular, the pressure is high with this one.